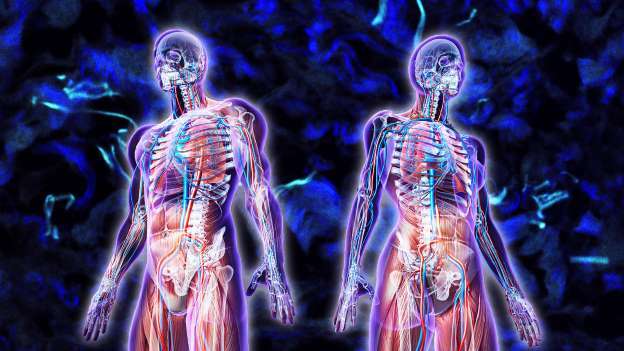 The interstitium, the shock-absorbing tissue underneath the skin, gut and blood vessels, has been identified as an organ for the first time according to a new study. 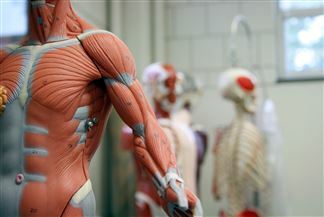 Researchers think the layers of the body previously believed to be dense, connective tissues are in fact interconnected compartments filled with fluid. 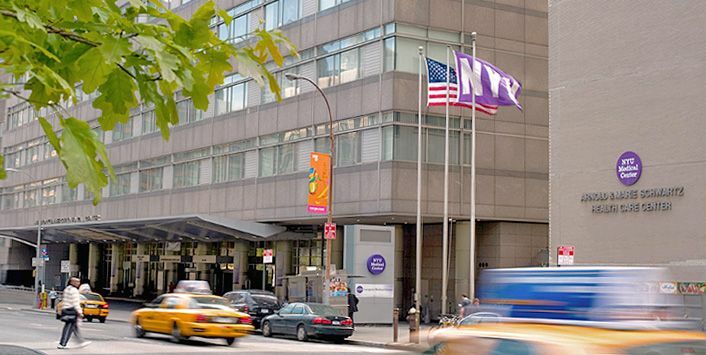 According to the team co-led by New York University's (NYU) School of Medicine, the interstitium is an organ in its own right and one of the largest in the body. 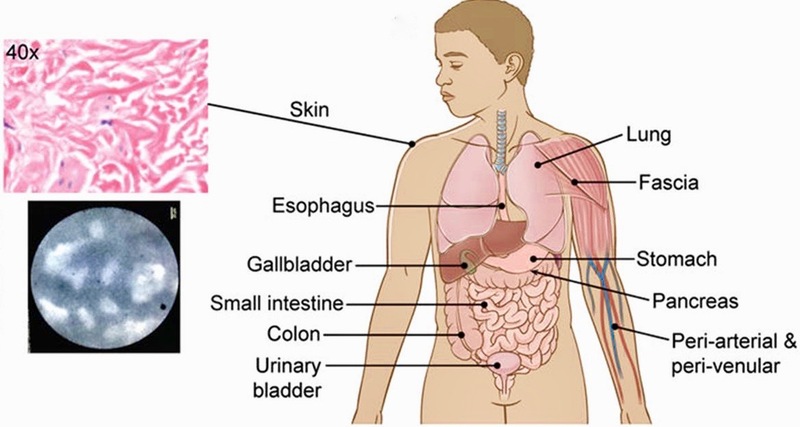 If the research, published in the journal Scientific Reports, is widely accepted, the interstitium could be regarded as the body's 80th organ. 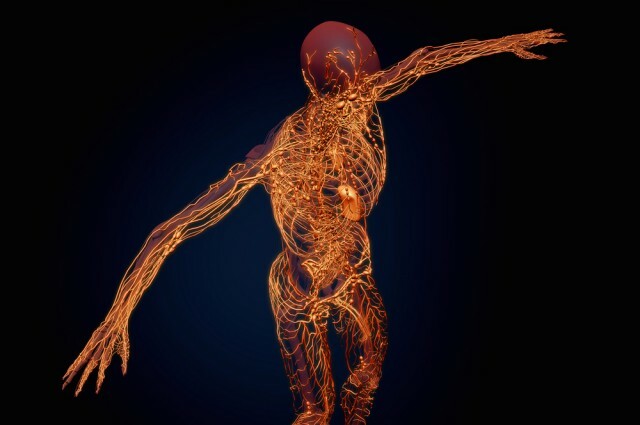 Supported by a mesh of strong and flexible connective tissue proteins, the interstitium protects the organs, muscles and vessels that keep our bodies alive by absorbing bumps and shocks. The scientists behind the research hope that the discovery will help determine why cancer that affects this area of the body becomes more likely to metastasize. It could be because the fluid in the interstitium drains into the lymphatic system, which plays a vital role in the immune system. 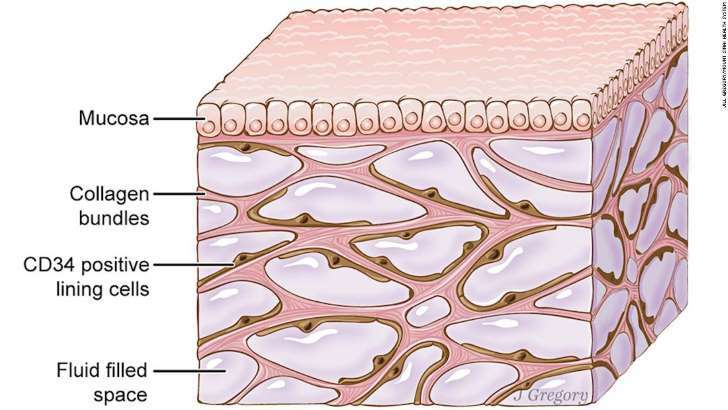 A newfound organ, the interstitium, is seen here beneath the top layer of skin. 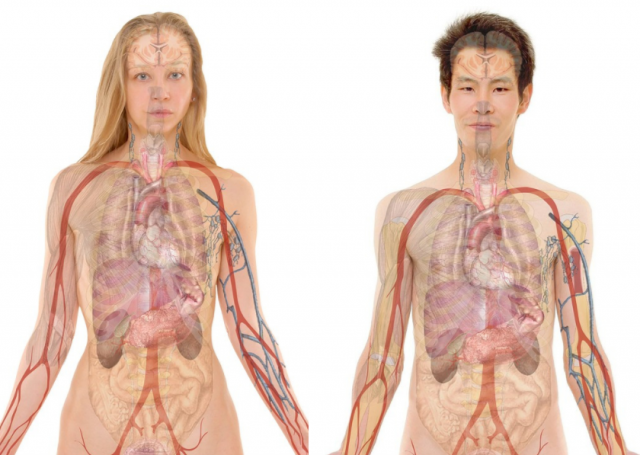 It is also in tissue layers lining the gut, lungs, blood vessels and muscles. The organ is a bodywide network of interconnected, fluid-filled compartments supported by a meshwork of strong, flexible proteins. The research also offers new insight into how our body ages, including our skin, the stiffening of limbs and the progression of fibrotic, sclerotic and inflammatory diseases. According to the team, the spaces that make up the interstitium were missed because scientists have relied on fixed tissue on microscope slides to study the human anatomy. The process of preparing tissue for examination involves draining away fluid and dyeing it, causing the meshwork to flatten like a pancake. Study co-authors David Carr-Locke and Petros Benias set about investigating the tissue that lines the digestive tract, lungs and urinary systems, and the surrounding arteries and veins, after they saw a mysterious web of interconnected cavities as they investigated a cancer patient’s bile duct in 2015 at Beth Israel Medical Center. When they attempted to investigate the apparent cavities using a traditional biopsy slide, they found that the pattern had disappeared. Working with scientists including Rebecca Wells of the Perelman School of Medicine at the University of Pennsylvania, researchers have since confirmed that this was, in fact, the interstitium. To get their findings, scientists used a technology called probe-based confocal laser endomicroscopy. A probe fitted with a camera and laser was sent down the throat to illuminate the organs. Sensors then analyzed the resulting fluorescent patterns, offering a picture of living human tissue. Researchers collected tissue from 12 cancer patients as they removed the pancreas and the bile duct as part of the study. 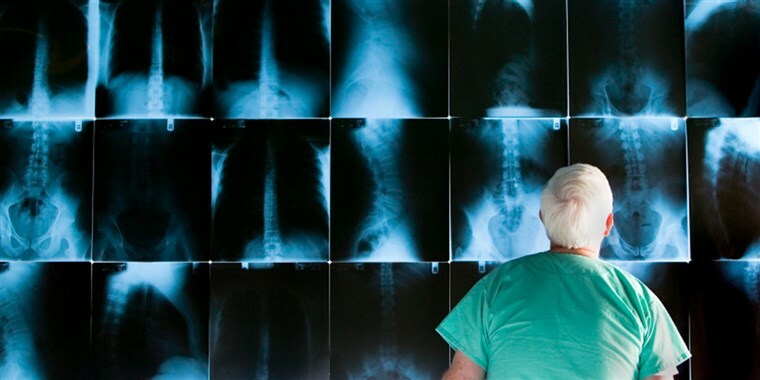 "This fixation artifact of collapse has made a fluid-filled tissue type throughout the body appear solid in biopsy slides for decades, and our results correct for this to expand the anatomy of most tissues," co-senior author Neil Theise, a professor in the Department of Pathology at NYU Langone Health, said in a statement. "This finding has potential to drive dramatic advances in medicine, including the possibility that the direct sampling of interstitial fluid may become a powerful diagnostic tool," he said.